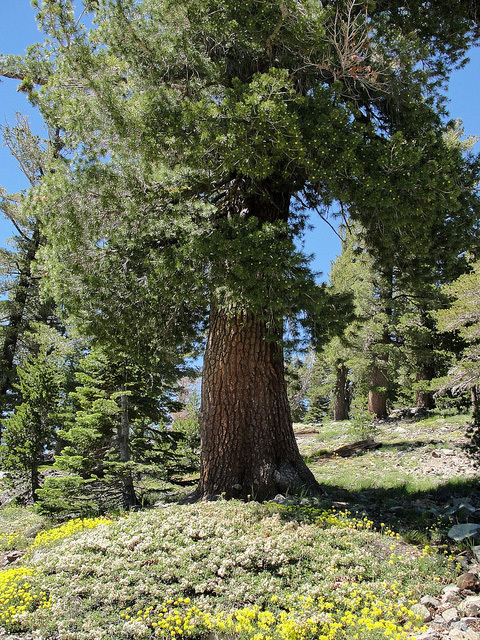 Western white pine (Pinus monticola) in the Sierra Nevada forests; photo by Miguel Vieira on Flickr (use permitted with attribution). 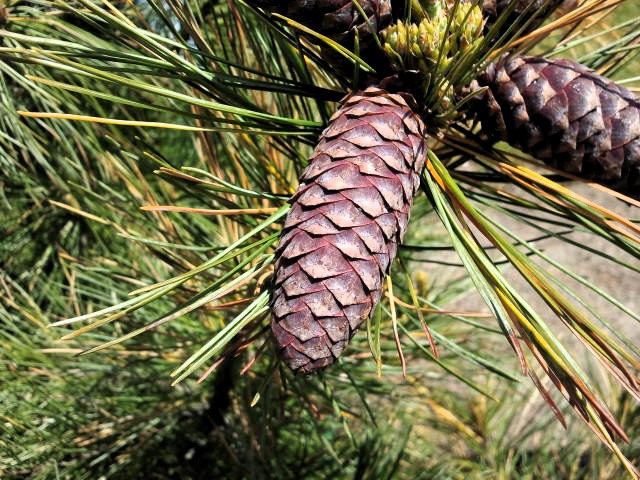 The western white pine is widely grown as an ornamental tree, but has been heavily logged throughout much of its range and has also been seriously affected by white pine blister rust (a fungus that was introduced from Europe in 1909). 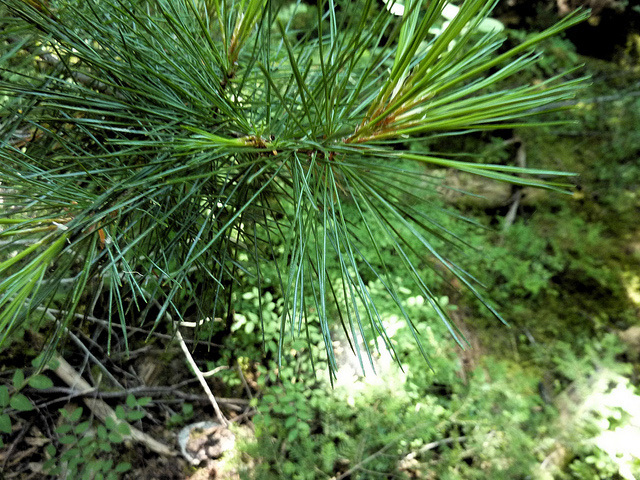 The U.S. Forest Service has a program for locating and breeding rust-resistant western white pine and sugar pine (seedlings of these trees have been introduced into the wild). Western white pine cones (Pinus monticola); photo by 5u5 on Flickr (use permitted with attribution). Western white pine needles (Pinus monticola); photo by 5u5 on Flickr (use permitted with attribution).